This is a story that sparks the imagination and resulted in the film Enemy at the Gates. However, there is very little historical evidence to confirm this. There is no official information about who Erwin König was and whether he was ever sent out to kill Zaytsev. The only sources about the duel between Zaytsev and König come from the Soviet army and Zaytsev himself. In his memoirs, Zaytsev refers to König as Herr Koning and identifies him as the head of the German sniper school in Berlin. This was according to documents taken from the body after the duel in Stalingrad. 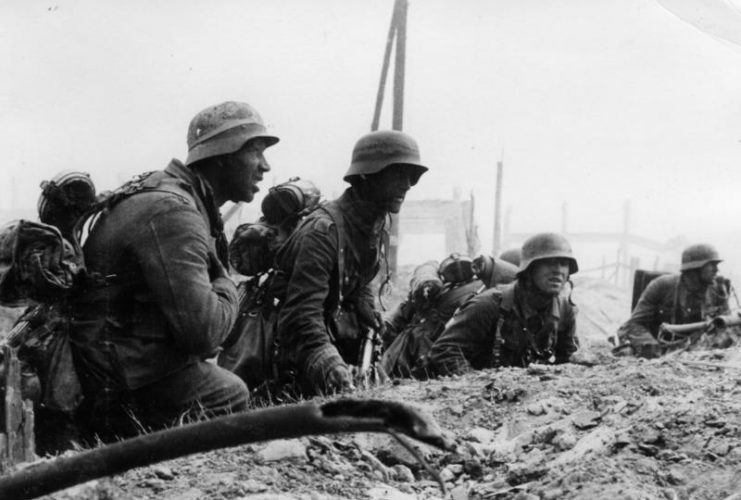 German Infantry in position for an attack during the battle of Stalingrad. While this might have been true, later on Zaytsev refers to him as Heinz Thorvald. Both of these names were popular in Germany at the time and could easily have referred to a number of soldiers. 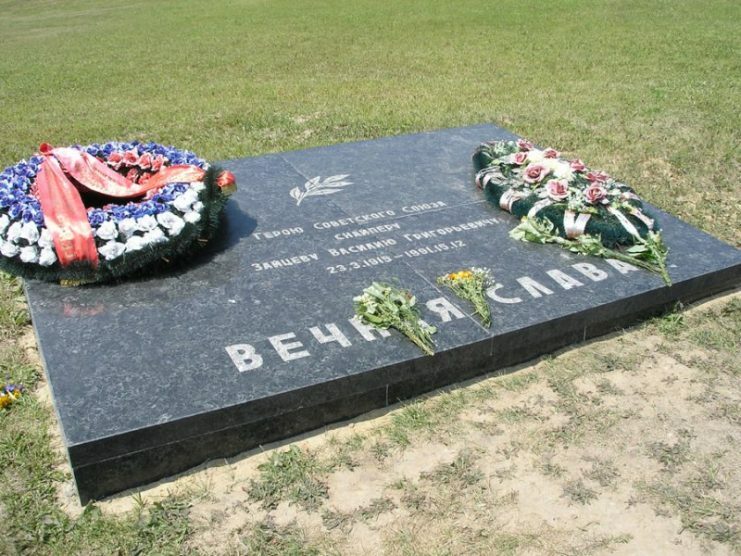 Both names are in the official Soviet records which means they could be two different people. The problem is that there is no documentation on the German side. This brings into question whether or not Erwin König ever truly existed or if he was created by the Soviet propaganda machine to boost morale and Zaytsev’s record. This would not be the only fictional enemy to be created by Soviet propaganda. 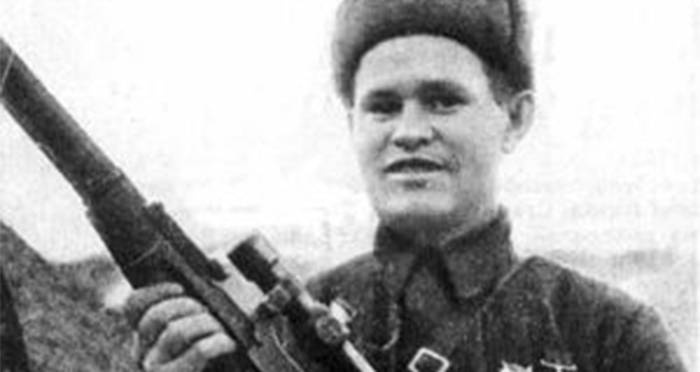 Otto von Singer, allegedly sent out to kill Lyudmila Pavlichenko, is a sniper created by Soviet propaganda. 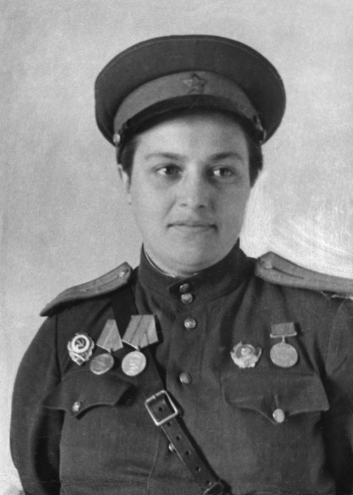 Lyudmila Pavlichenko, before she was awarded the title Hero of the Soviet Union in 1943. There are a number of holes in the story and history of Erwin König. The primary issue is the lack of all German records of this super sniper. If König had been the head of the German sniper school, it would be easy to find some record of him. However, neither König nor Thorvald appear in Wehrmacht archives. This would not be the case if König had a kill count of over 400 as stated by the Soviets. While German snipers were not heroes shown in propaganda, a kill count this high would have placed him on the Knight’s Cross list. The rank that was assigned to him in Zaytsev’s writing was Major, which would not have occurred at the time. German snipers were not promoted to high ranks because they would stop being a sniper and become a leader. 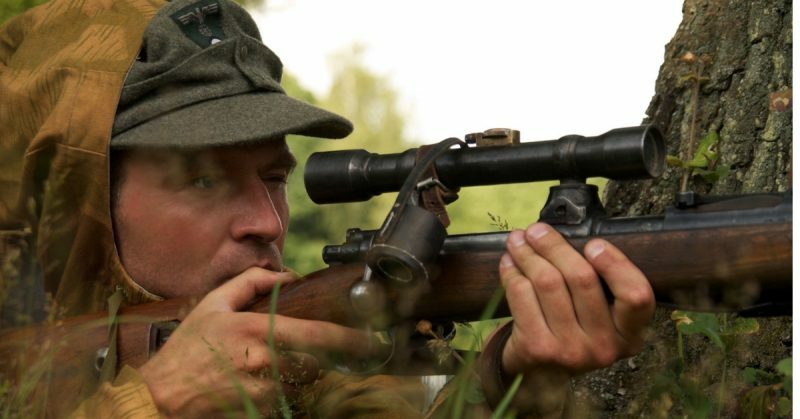 The most successful German sniper according to records is Matthäus Hetzenauer with 345 kills. He only achieved the range of Gefreiter which makes the idea of König being a major and still in the field unlikely. It is not only the lack of records and ranking of König that supports him being a figure of Soviet propaganda. The timeframe involved would also make him seemingly superhuman, able to achieve nearly impossible feats. The first German specialized sniper training was established in mid-1942. 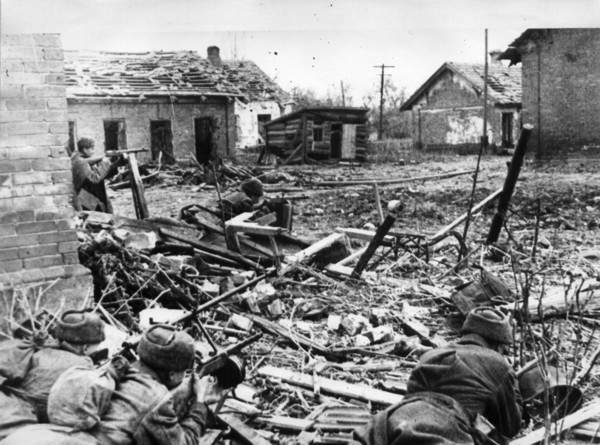 The Battle of Stalingrad, where König was allegedly killed by Zaytsev, occurred from August 1942 to February 1943. That leaves an approximately 6 month period for König to have reached the level at which the Soviet propaganda placed him. If König was one of the first to receive the sniper training, he would still have had to work his way up to be the head of the school. 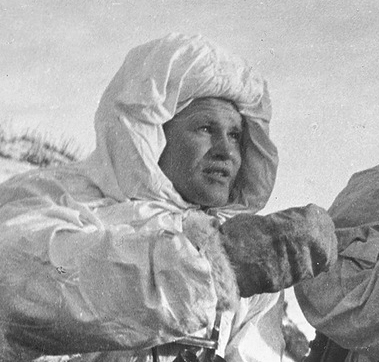 The training is said to have taken 5 months, which would leave him with one month to kill over 400 Soviets, have these kills confirmed, become head of the sniper school, and then be sent out to kill Zaytsev. 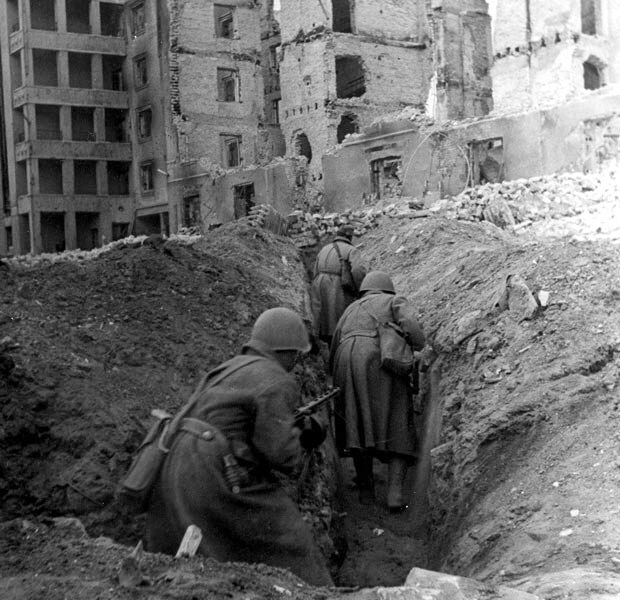 Soviet soldiers prepare to defend their position during the battle. If König was already a sniper before the training program was set up, he would still have been the head of a very new program. It is unlikely that the Wehrmacht would send out their primary trainer to kill Zaytsev. If this was the case, there would still be a tight window for König to kill 400 Soviets, return to Germany, establish the school, and be recalled. The travel to the front would have taken a third of the time available for all of this to happen. Even if we assume that König was able to complete this feat, there is still the fact that there is no trace of him in German records. To erase König from all records would be a major cover-up mission that was unlikely to have taken place. While German propaganda preferred positive news, the death of prominent soldiers was reported. One such soldier was Hans-Joachim Marseille whose death occurred around the same time as König was allegedly killed. With the complete lack of evidence pointing to König being a real sniper, it is fairly safe to say that he was made up by Soviet propaganda. This did not stop after the war as Zaytsev is said to have been confronted by a young woman in Berlin who said she was König’s daughter. There is no proof of this other than the accounts of Soviet authorities.